Anyone is welcome to attend the Pack Walks. We would love to see not only our DePAW clients, but your family, friends, coworkers, and even neighbors! It’s completely FREE! 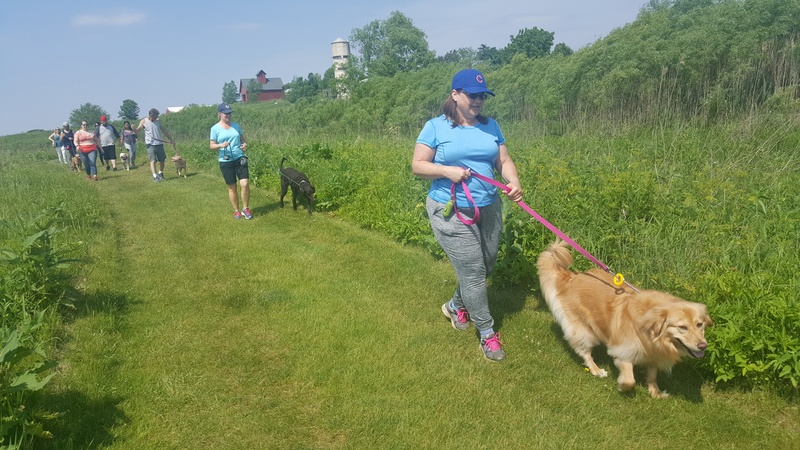 Pack Walks are a leashed community walk around a local forest preserve or park. They are a way of building our community amongst fellow dog owners interested in meeting new friends, getting exercise for yourself and your dog, and learning better “walk behavior” as well as new leash skills with your dog. These walks are not meant for dog socializing, rather teaching good public behavior. Pack Walks will be held on Sundays and meet @ 10:00am SHARP with step-off @10:10am. 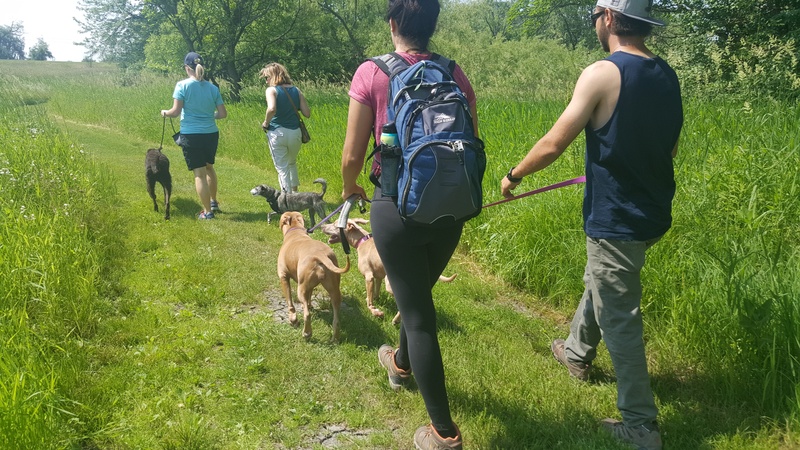 Please bring water for yourself and your dog and flea and tick prevention is strongly recommended since trails can be wooded with tall grass. Please keep in mind many of these locations are also available to bikers, hikers, horseback riders, disc golf, etc. All will be great distraction training for your dog. Walk lengths will vary, with shorter walks in the hot Summer months. Breaks are taken as needed for dogs to rest in the shade and drink water. Meeting/Parking locations are marked on the maps by a purple paw print. * Clean up after your dog. Poop bags are mandatory. * Pack walks are for dogs over 4mo. with current vaccinations. * Leashes must be 6’ or shorter. NO retractable leashes! * Staying to the right as we encounter others on the trail. * Keeping your dog a respectful distance (within 2ft of you) and away from other dogs. Your dogs’ nose should not run into the tail of the dog in front of you. Make sure to check with other dog owners before letting your dog greet each other. Please do not be offended by a decline. All dogs are here to work on different issues. * One dog per person. * DePAW is not responsible for the health and safety of your dog while attending this community pack walk. Please click here to visit our calendar for Pack Walk dates & locations.